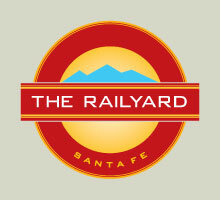 10TH ANNIVERSARY OF THE MODERN RAILYARD! 11am-Noon: BACA RAILYARD to NORTH RAILYARD – Community Parade led by the Partizani Brass Band via bike trail and new St. Francis Underpass. Come join us with bikes, scooters and pets! Noon-2pm: RAILYARD PARK – Community Picnic – Bring your own or enjoy box lunches from Boxcar Restaurant, Street Food Institute food truck, coffee and juice drinks from Better Day Coffee and ice cream from Freezie Fresh and Palateria Oasis! Enjoy the Bluegrass music of the RAILYARD REUNION BAND! SITE Santa Fe guided tours of artist Eduardo Navarro’s Galactic Playground Sundial! All Day Long: ON THE TRACKS – Special display of Rail Runner and Santa Fe Southern cars for visitors to explore and mini-train rides for the kids! Games, Bike Rentals, Prizes and more! Collect your stamps for grand prize drawing!